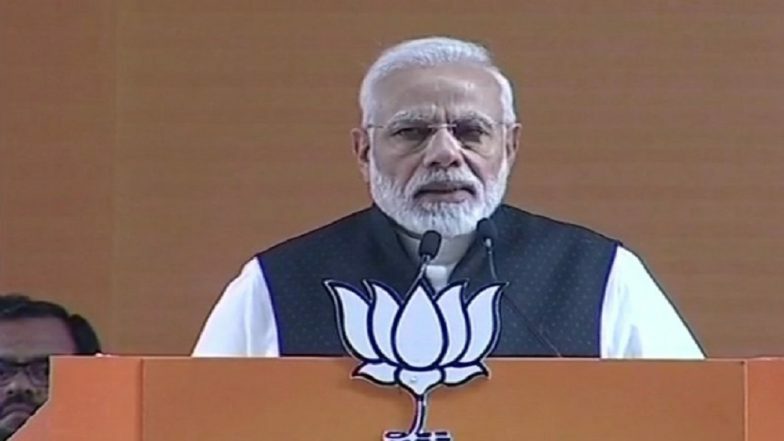 Speculations are rife that Prime Minister Narendra Modi would contest from Bengaluru South in the Lok Sabha Elections 2019. Earlier, the seat was represented by the Bharatiya Janata Party (BJP) stalwart Ananth Kumar who had won this constituency for six consecutive times. On Saturday, the party announced the second list of candidates for Karnataka for the upcoming general elections. Lok Sabha Elections 2019 Schedule: Voting In 7 Phases From April 11 to May 19, Counting And Results On May 23; Check All Dates For General Elections. The saffron party has given a ticket to Muniswamy S., a city corporator from Kadugodi as its candidate for the Kolar Lok Sabha seat and also fielded actress Sumalatha for Mandya. However, the BJP, till now has not announced any candidate from South Bengaluru. Hence, fuelling the speculations that PM Modi may contest from this constituency. However, the party has not confirmed the news. BJP 5th List of Candidates For Lok Sabha Elections 2019 Out: Anurag Thakur From Hamirpur, Jayant Sinha Gets Hazaribagh; Check Constituency-Wise Names Here. Earlier reports also surfaced that Congres president Rahul Gandhi would be contesting from Bangalore Rural, but on Saturday, the party gave a ticket to incumbent MP DK Suresh. Meanwhile, the grand old party has fielded Leader of Opposition Mallikarjun Kharge from Gulbarga. Meanwhile, the Congress has also not announced any candidate from South Bengaluru. Some local party leaders said that the Congress would field a strong candidate, if PM Modi decides to contest from this constituency. In Karnataka, in Lok Sabha candidates will take place in the second and the third phase on April 18 and April 23 respectively. The results will be declared on May 23.